Unique opportunity to own this charming home in sought after location. 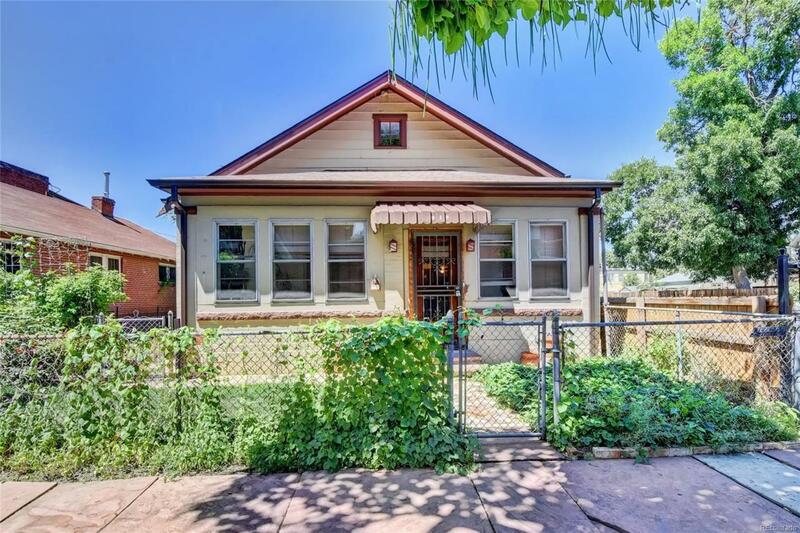 This rare find offers infinite investment possibilities: Zoned for building up to 3 stories, an accessory dwelling, OR scrape to build a row house. Immediately up on entering your eyes will be drawn to the exposed brick and soaring ceilings. You will love the updated contemporary lighting. Gleaming hardwood flooring throughout. The sun room is heated and offers additional square footage and potential. Huge bedroom area is outfitted with luminous windows. A mechanic's dream with huge connected workshop and two car garage. Tons of off street parking as there are 2 additional off street spaces protected by security fence .Expansive fenced in yard provides more options. NEW ROOF installed this year! Washer/dryer included!